With tours to over forty countries as a member of the Chilingirian Quartet and other ensembles, Charles has enjoyed a busy schedule of performing, recording and teaching at some of the world’s most prestigious venues and festivals. Recordings of a wide range of repertoire from the well known classics to lesser known masterpieces for Virgin/EMI, BMG, Decca, Hyperion, CRD, Chandos and Classic fm have become central to the classical recording catalogue. Collaborations with composers such as Hugh Wood, Robert Saxton, John Tavener, and Michael Berkeley have been core to the Chilingirian’s work, performances and recordings meeting with highest critical acclaim. 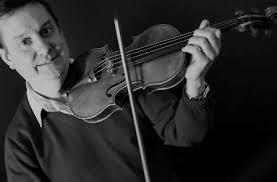 As a member of the Chilingirian Quartet, resident at the Royal College of Music, Charles has given classes and recitals and worked with young ensembles on the masterpieces of the chamber music repertoire; former students of the Royal College include the now highly successful Belcea and Sacconi Quartets. Charles has also collaborated with many other international artists; his work with London Mozart Trio includes recordings of Schubert and Dvorak trios which were voted best available digital recording by BBC Radio’s “Building a Library”. Charles’ recording of the violin sonata and other chamber music by Reynaldo Hahn with Stephen Coombs was voted “CD of the month” by BBC Music Magazine. Charles is a principal member of the London Chamber Orchestra which performs regularly at major London venues and has had the privilege of performing at important Royal events such as Her Majesty The Queen’s private birthday party at Kew Palace and the wedding of HRH The Duke and Duchess of Cambridge at Westminster Abbey in 2012. Charles has been Head of Strings at The Purcell School since 2008 and, since leaving the Chilingirian Quartet, has continued to pursue a broad and varied performing career including international concerto performances, leading, presenting and directing gala performance of music of the Strauss family and Charles is frequently asked to join colleagues playing violin and viola in chamber recitals both in the UK and abroad.